Our curiosity is something very valuable. It accompanies each of us from birth. And yet we often take the world and things around us for granted. Before their invention, these things were thought to be impossible, or were even unthinkable, but they changed the world into what it is today. Thus, the history of technology is deeply connected with the fate of mankind. This book is a journey to those magic moments in which something completely new came into existence. What an incredible feeling that must have been! 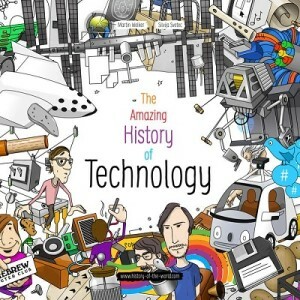 ‘The Amazing History of Technology’, is the first in a planned series of ‘History of the World’ educational books. The book is a picture book and features a hefty 278 images, aimed at the Children and Young Adult markets. It takes its readers on a journey through time, from the ‘Big Bang’ 13 Billion years ago, right up until the present day with the Wendelstein 7-X, which I have never heard of and had to Google (it’s an experimental stellarator nuclear fusion reactor). The books are designed to be accompanied by an educational app – though the app is still in the planning stage at the moment. The plan is that you’ll be able to swipe through the pictures in the book and get more details on each object. You’ll be able to see videos or music that relates to the corresponding piece of technology and learn more about it. They are also looking at having a section for questions and answers, for the people that built it or special video interviews where they explain the thoughts that went into what they built. 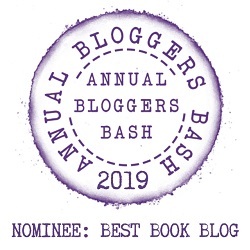 There will also be a community nomination feature, where people can submit and vote on technologies that should be included in each new edition of the book. As the book stands, without the app at the moment to work alongside it, it is more of just a picture book. The book does have beautiful images, with corresponding dates and includes items such as Minecraft and iPads that the kids can relate to. In its fully developed stage with an app to work alongside it, the book will be a fantastic visual tool for kids to learn more about the history of technology, and will keep them occupied for hours at a time. It’s a great idea, not only to get kids learning about history, but to combine modern technology alongside a book, which in some kids eyes, is a historical piece of technology in itself. Once the app has been developed, I will update the review with my thoughts on how well the two work together. Martin Welker had already started passionately developing computer programs in school. At the age of 16, he sold his first software. After studying computer science at the University of Karlsruhe, he founded the software vendor Axonic. He started the project “History of the World” in 2015 to make history visually and intuitively understandable. He published his first book “The Amazing History of Technology” in the same year. He lives with his family in Karlsruhe, Germany.